Mountain View takes control of 3A GSHL with overtime victory in Week 6. Overtime did not last too long. Kelso had the ball for three plays. Mountain View needed just one. After a gain of six yards on first down, Kelso was whistled for a 5-yard penalty. On second down, a run to the right was thwarted by the Mountain View defense. Believe it was Phillip Earnhardt who got past his blocker and made his way to the ball carrier. He didn’t make the tackle, but forced the runner to cut back into the Mountain View defense where Alex Hegel and Andrew Gulliford were there to stop the play for a 2-yard gain. The next play, Mitchell Delmage intercepted a pass, giving the Thunder an opportunity to win it. The Thunder did just that. Glen Perry Jr. had already throw two touchdown passes to Makai Anderson. Might as well go for the trifecta. And in all three TD passes, the ball was thrown high, allowing Anderson to outjump his defender to get the ball. Touchdown Thunder to make it 2-0 Thunder in league play. Mountain View led this game 23-7 but Kelso scored two touchdowns with two 2-point conversions to tie it in the second half. Kelso was in position to score even more points, but the Mountain View defense came up with some clutch plays long before overtime. In the second half, there was an solid open field tackle by Gulliford on a fourth-down play. Next Kelso drive, the Hilanders made it to the 1-yard line. Hegel slowed down a third-down play behind the line of scrimmage, allowing Tyler Black to come in to make the tackle. On fourth down, it was a case of the Thunder knowing their assignments. Hegel was responsible for the quarterback, so Hegel crushed the QB, forcing the QB to pitch it on the option probably a little earlier than he wanted. Gulliford’s responsibility was the pitch man, and Gulliford easily got past his blocker then made the tackle for a loss of downs. Kelso would get two more fourth-quarter opportunities to score. Earnhardt intercepted one pass and he knocked down a pass near the end zone on the final play of regulation. Early in the game, Andrew Remlinger got a tackle and a forced fumble that was recovered by Payton Regas. 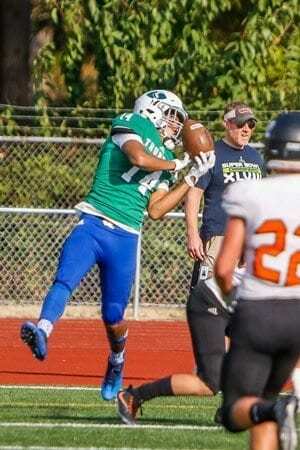 On the ensuing Mountain View drive, Regas kept a drive going with a 15-yard reception in which he fought to keep his balance to get the exact yardage needed for a first down. Mountain View would score on that drive. 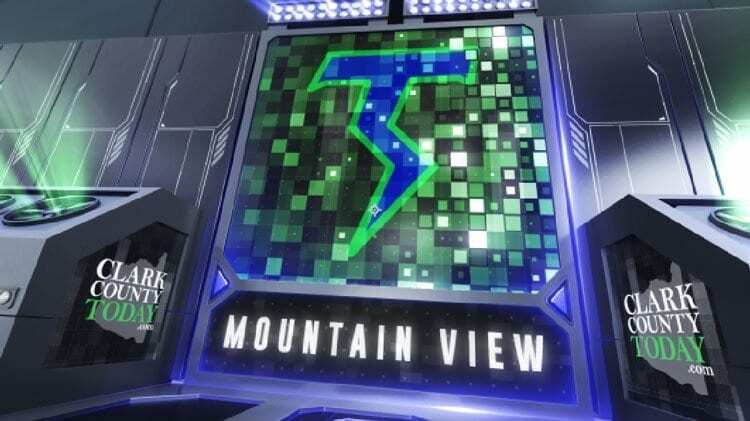 Mountain View has played two league games now and is the lone unbeaten team in league play. The Thunder take on winless Fort Vancouver in Week 7 before finishing the regular season with games against Prairie and Evergreen.